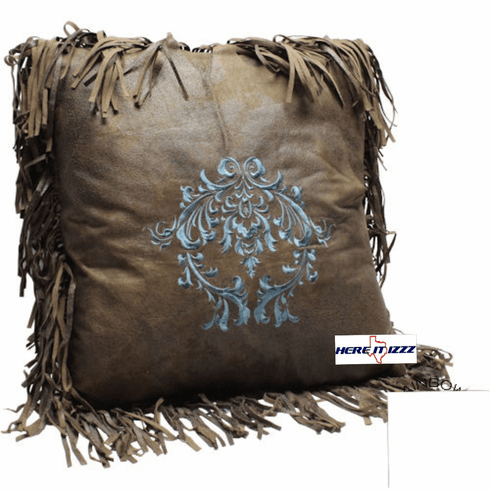 Our Monterrey throw pillow is fully embroidered on a leather-look fabric with Gorgeous 3 inch trim fully encircled 18 by 18 inch pillow. Design for our ever popular turquoise and beige mosaic Monterrey Western bedding set. Add this to your collection we also carry the complete line of neck pillows and Euro shams.